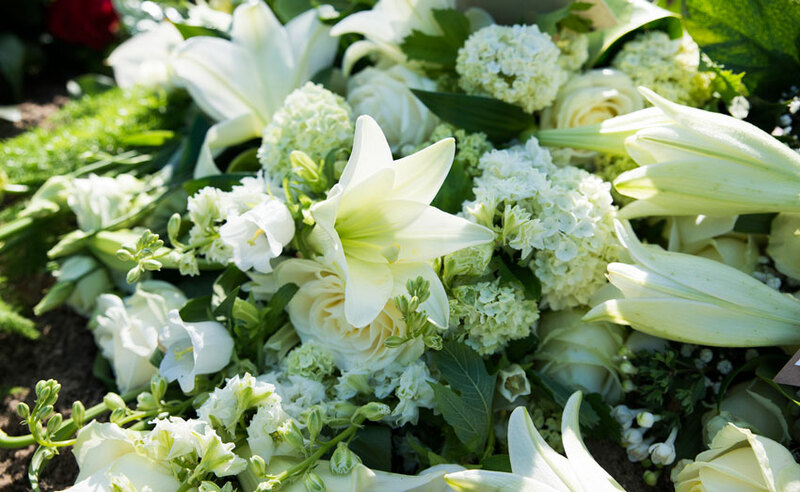 Sending sympathy flowers or floral tribute to funeral home or memorial service or sending sympathy flowers or planter to a home are appropriate ways of expressing condolences to the family of the deceased. Flowers can express a feeling of life and beauty and are the traditional way of expressing sympathy to a friend or family member who has lost a loved one. An popular alternative to flowers is to send sympathy fruit basket or a gourmet basket. This is a tasteful and appropriate way to show your condolences. Send sympathy fruit basket to residence. A floral tribute is a flower arrangement that is sent to a funeral home. Standing Sprays, Flower Crosses and Floral wreaths are also sent to funeral home. If you send sympathy flowers to a residence then typically a flowering plant, planter or a small vase of fresh flowers is suggested. When you send sympathy flowers or floral tribute to funeral home an identification card with personal message can be placed on the floral tribute. At the funeral home the cards are removed from the floral tributes and given to the family. Expressing sympathy with a card is always appropriate. It will mean a great deal to the family. Include a personal note with your card- such as: "I'm sorry to learn of your personal loss"
A memorial contribution, to charity or specific cause is an alternative to sympathy flowers. There a several memorial funds available and most families will express a preference. If in doubt you can call the funeral home handling arrangements. If recognized as a charitable institution, some gifts may be deductible for tax purposes. The funeral director will be familiar with these and can explain each option.